I'm all smiles and quite proud of my self this week because I finally taught myself how to use a serger. I scored this Bernina serger at the thrift store several years ago for the insane price of 20 bucks. Crazy…right? With the help of Youtube I finally sat down a couple of weeks ago and figured it out!! 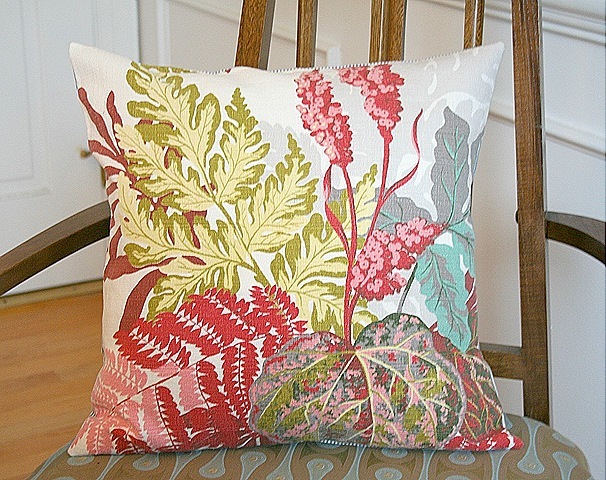 I immediately was inspired to dive into my extensive (can you say hoarder) fabric collection and make some pillow covers. 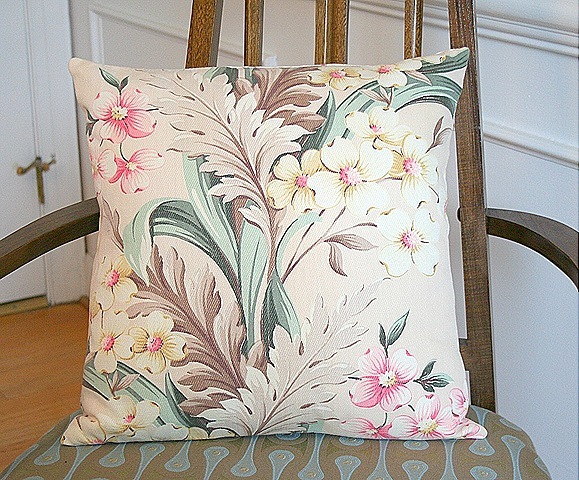 I think it's a great way to finally whittle down the inventory and share the vintage fabric love. These are just a sample of what I made so far, there are many more in my shop and I am adding more every day. Bravo to you!! I have been debating whether or not to get one and where I could store it. 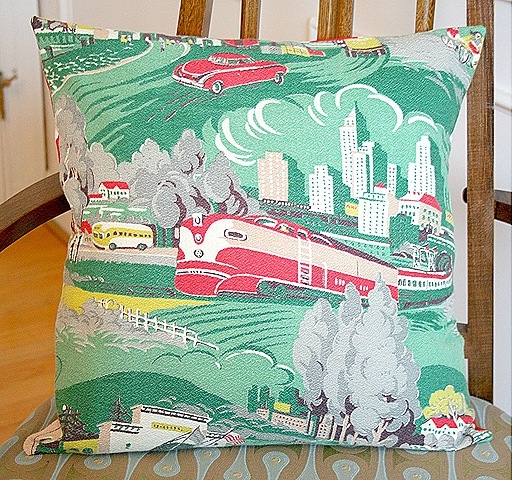 It sounds like you are having fun and those fabrics (especially the train) are soo gorgeous! 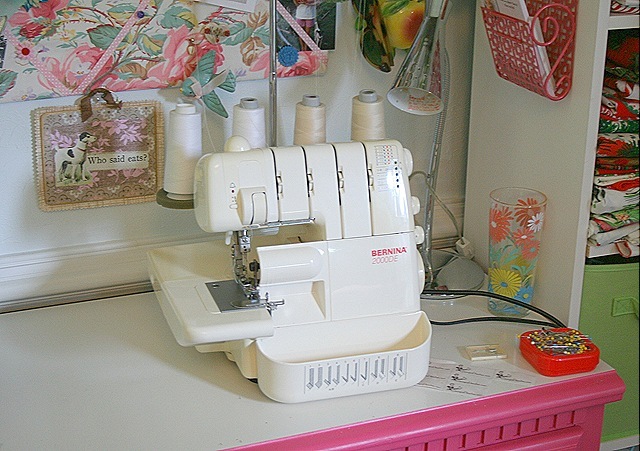 A serger for $20! That is beyond crazy! Awesome pillows! Good for you – on the buy AND figuring out how to use it. That barkcloth train is amazing. Using the serger…easy peasy…threading it….well that is altogether a different thing! Love those pillows!! Can you make another with the train motif??? I admit, I’m putting off getting a Surger still. It is that threading that I fear most. Funny you should mention about using You Tube to teach yourself something. I use that every time I need to know anything like how to change the string on a weedeater, how to unstop a toilet, etc. Free advice. Kudos to you for sticking with it. Love the pillows. Keep on Sewing…thanks for sharing.